Midnight Special DVD and Blu-ray release date was set for June 21, 2016 and available on Digital HD from Amazon Video and iTunes on April 29, 2016. 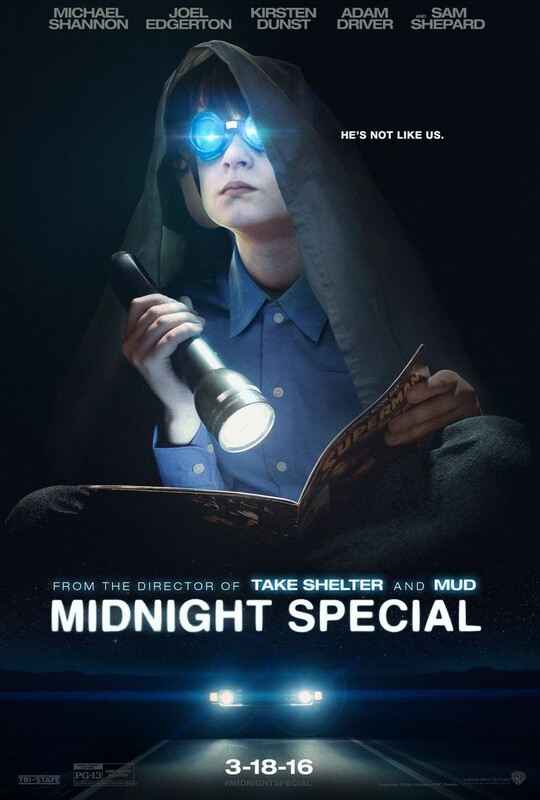 Midnight Special follows Roy who is father to an extremely gifted eight-year old son named Alton. Because of his intellect, Alton is being hunted by an extreme religious organization, as well as a local government task force. In order to save his son, as well as his gifts, which have the power to change the world, Roy must risk it all to keep Alton safe, along with a few allies who embark on the journey with him.